We often talk about feeling like a kid at Christmas, but few of us are blessed to be able to become one when we want to. People with multiple personalities usually have a few alters who are still children. When they were abused they hid and are still available for fun and games in the right situations. Unfortunately, they can’t let their inner children come out in front of normal adults because the adults think they’re crazy. Imagine that! I have several children inside me who love Christmas. Around the holidays I start to see ads for wonderful toys and these inner children want them. I cut out a few pictures of the things my little girls want. 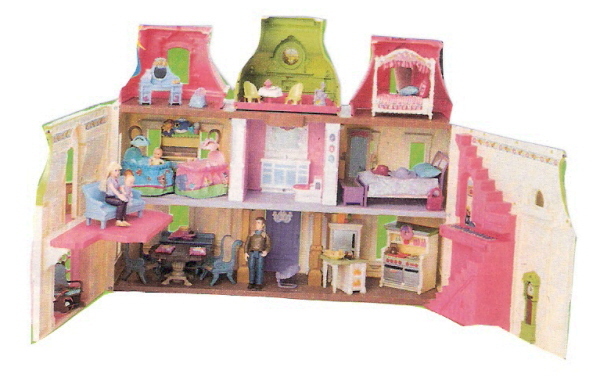 One personality, New Nancy, wants a Barbie Malibu Dream House. I also have an alter named Allen, a nine-year-old boy. He likes to play Indian so perhaps I could find a headdress for him. He also likes guns, airplanes and magic. I think the best present to give a child alter is Play-Doh. 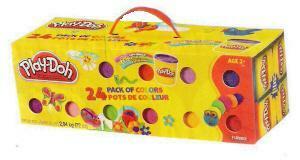 This toy is inexpensive and can be used in most games as anything from play food to small sculpted objects. If you have an alter who is still a child, try buying them an inexpensive toy this Christmas. I bet they’ll like it, and all of you will feel better. Please let me know how this plan works for you. I apologize for not writing my blog for several weeks. I’m sorry! Life has gotten in the way of blogging. My husband has been undergoing chemotherapy since September, dealing with it’s endless side-effects and symptoms. Last week we went to the emergency room twice, each visit taking all day, and the hospital is 50 miles away. The first time we went because Bob’s leg swelled up and he was in terrible pain. The emergency room doctor diagnosed him with a deep vein thrombosis (blood clot). He gave Bob a shot and two prescriptions. When we left the hospital we stopped at the drug store and were told they didn’t have enough of the pain medication to fill the doctor’s order. We went home and Bob decided to take the weaker pain pills he already had, until the prescription could be filled. The drug store is 25 miles away from our home, so we can’t just run up and get something. Within three days it became clear these pills weren’t working so we called the doctor’s office and asked for stronger ones. The nurse I talked to on the phone was supposed to send us a pain prescription but told me to take my husband to the hospital by mistake, so we spent the whole day at the hospital again, for no good reason. That is the pathetic story of why I didn’t have time to write my blog. I know: excuses, excuses, excuses! Thank goodness Bob’s chemo will be over in a few weeks!